Digium®, Inc. provides Switchvox Cloud hosted business phone system and SIP trunking services that deliver enterprise-class Unified Communications (UC) and UC as a Service (UCaaS) solutions at an affordable price. 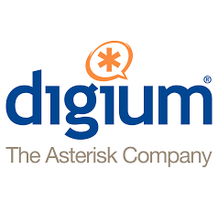 Digium is the creator, primary developer and sponsor of the Asterisk project; the world's most widely used open source communications software. Digium's business communications products are sold through a worldwide network of agents and reseller partners. More information is available at http://www.digium.com and http://www.asterisk.org. 2	jplist-folder-All-Posts-4768 jplist-folder-Blog-4769 Blog	jplist-topic-Cloud jplist-topic-Digium jplist-topic-On-premise jplist-topic-pbx jplist-topic-Provider jplist-topic-Service jplist-topic-Sip jplist-topic-Switchvox jplist-topic-Trunking jplist-topic-voip	0	08/01/2018 16:09:55	Did you know that Digium offers stand-alone SIP trunking services? That’s right! The company that’s been a leader in all things VoIP for almost 20 years is also a wonderful choice for cost-effective, highly-reliable VoIP circuits. Digium SIP trunking includes all of the service features you expect from a top-quality SIP trunking provider, including crystal-clear audio, Caller ID, Remote Call Forwarding (RCF), multi-codec support, number portability, and more. They’re highly available and designed for redundancy, so you know your services will be available when you need them. Setting up Digium SIP trunking to a Switchvox on-premise appliance is a breeze. Simply select a few options, enter your credentials, and you’re set up in a matter of minutes. There are no complex menus to navigate and you don’t have to be an expert in VoIP terminology in order to set up our SIP trunking services. With less time needed for configuration, you can get in, get out, and move on to other jobs faster. And, because the service is provided by Digium and not a 3rd party, you can rest assured knowing your entire communications solution is available under one support umbrella. Whether you’re looking for a solid primary voice service provider or in need of a secondary or backup service provider, let Digium prove that we can help to empower your business communications through the use of our complete line of VoIP products and services. 3	jplist-folder-All-Posts-4768 jplist-folder-Blog-4769 Blog	jplist-topic-Call jplist-topic-Center jplist-topic-Cloud jplist-topic-Digium jplist-topic-Hosted jplist-topic-Network jplist-topic-pbx jplist-topic-Phone jplist-topic-Switchvox jplist-topic-Virtual jplist-topic-voip	0	08/01/2018 16:06:37	Moving to a VoIP-based call center phone system can bring substantial savings for organizations. In fact, this is what usually prompts business owners, executives, and other key decision makers within a company to pressure IT into finding a new phone system. However, there are more things to consider beyond just how much money you can save. It’s important to understand the technical requirements from a network perspective, an employee resource perspective, and from an overall big picture point of view as well. For example, you will need to know how the phone system will integrate with your other business systems and what type of support you can expect from your vendor of choice. If you are in the process of upgrading your call center phone system, read these 8 technical considerations to help your transition go as smoothly as possible. 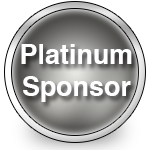 9	jplist-folder-All-Posts-4768 Partner-Resource-Partner-Resource	jplist-topic-Cloud jplist-topic-Communications jplist-topic-Demo jplist-topic-Digium jplist-topic-Free jplist-topic-Hosted jplist-topic-pbx jplist-topic-Phone jplist-topic-Switchboard jplist-topic-Switchvox jplist-topic-Trial jplist-topic-Uc jplist-topic-Unified jplist-topic-voice jplist-topic-voip	0	01/29/2018 16:58:54	Register Now for our LIVE Switchvox Cloud demo. In just 30 minutes, we'll show you around the Switchvox interface and demonstrate how to put key features to work in your business to improve internal efficiencies and overall customer experience. You'll also have a chance to get your questions answered live during the webinar. 11	jplist-folder-All-Posts-4768 jplist-folder-All-Posts-4768 Case-Study-Case-Study	jplist-topic-Cloud-Based-Communications jplist-topic-Could-Voice jplist-topic-Hosted-Pbx jplist-topic-Hosted-Voip jplist-topic-Telecommunications jplist-topic-voip	0	09/07/2017 15:43:49	Many companies do not have the technical staff or time needed to implement and administer an on-premises telephone system. However, companies with limited resources oftentimes still need customized or complex communications solutions. St. Louis Foods was faced with an outdated, premises-based, digital phone system and a limited technology staff before moving to a new location that required customized communications. Full-featured Unified Communications (UC) solution designed for SMBs. 24	jplist-folder-All-Posts-4768 Product-Literature-Product-Literature	jplist-topic-Cloud jplist-topic-Communications jplist-topic-Digium jplist-topic-Hosted-Business-Phone-System jplist-topic-Ip jplist-topic-pbx jplist-topic-Switchvox jplist-topic-Uc jplist-topic-Unified	0	07/21/2015 12:01:59	Full-featured Unified Communications (UC) solution designed for SMBs.